If you're searching for a new colour blast then the Paintglow UV Hair Chalk in Blue is the new perfect hue for you! 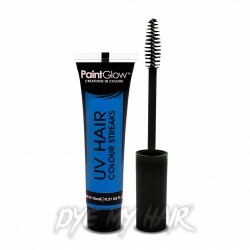 Why not add a splash of color to your look with the Paintglow UV Hair Streaks in Blue! 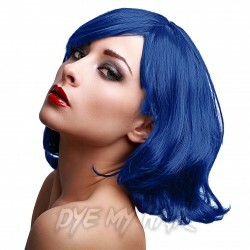 Release a vibrant shade of blue with the Paintglow Rebellious Colours Semi-Permanent Hair Dye in Electric Blue! Get on the path to a whole new you! Add an instant colour burst to your hair with Paintglow UV Hair Chalk in Green! A hassle-free way to make your locks look awesome! Transform your look in an instant with the Paintglow UV Hair Streaks in Green! 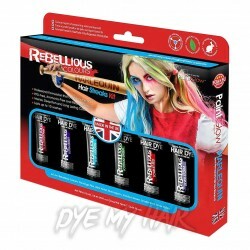 You're sure to cause a storm with a brilliant shade of Paintglow Rebellious Colours Semi-Permanent Hair Dye in Orange Thunder! Brighten up your look with the Paintglow UV Hair Chalk in Orange, perfect for adding a splash of colour to your tresses! Add a splash of color to your style with the Paintglow UV Hair Streaks in Pink!